November is National Diabetes Month. 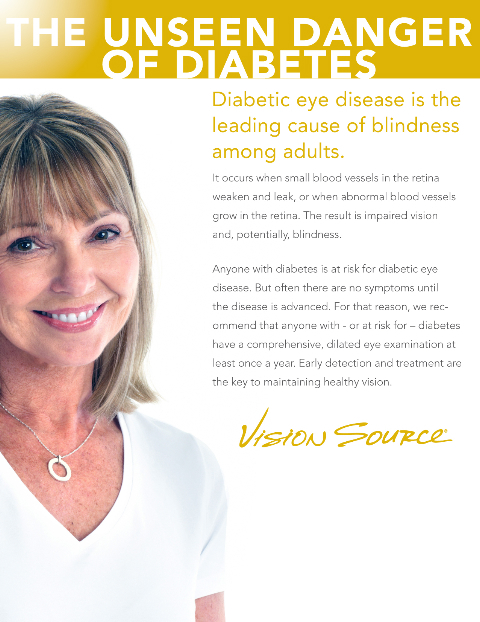 I encourage anyone who has, or may be at risk for, diabetes to have an annual eye examination. Diabetes affects 18.2 million Americans, 5.2 million of which may not know they have the disease. One of the health problems associated with diabetes is diabetic retinopathy, a disease of the eye which can cause blindness. The early stages of diabetic retinopathy may produce no visual symptoms at all. That is why it is so important for anyone who has diabetes or a family history of diabetes to have a yearly comprehensive eye health examination. Early detection and treatment are essential because once damage has occurred, the effects are usually permanent.